Both higher education and civic responsibility are under siege today by economic, cultural, and political forces. Yet both are essential for a robust democracy. What can those of us working in academic museums and galleries do to help reverse this trend, and how do we advocate effectively for this work among our key stakeholders? This year’s AAMG Annual Conference at the University of Minnesota invites you to reflect upon our relevance to parent institutions and local communities. Can we effectively bridge increasingly polarized values and priorities among our broad constituencies and still fulfill our mission and core values? How do we mentor students in the digital age? And what can we do to transform our institutions to reflect shifting demographics, financial challenges, and new learning methodologies? We invite you to submit conference proposals that address these questions and topics. Please submit your proposal using this link by December 1, 2018. Would you like to lead a conversation on a specific topic? These lively discussions will be held on Thursday afternoon at the University of Minnesota museums (details to come). We invite you to propose a topic and explain why your skills, experiences, and interests will contribute to your success as a discussion leader, particularly as this relates to conference’s theme. As the Roundtable Facilitator, you will welcome attendees, offer a 5-10 minute overview about the topic and your personal connection to it, and then facilitate a conversation with those present. Roundtables run 1 ¼ hours. We select up to 10 presenters for 5 minute (no more than 20 slides) talks on Thursday evening, during our opening reception. We call it a “Throwdown” because it’s high energy, quick-paced, and foregrounds powerful ideas. This is an excellent opportunity for students and emerging professionals to share a special program or practice. Panels are the heart of our conference. Over two days, we anticipate having 18 panels. That breaks down to 9 panels per day: 3 simultaneous sessions 3 times per day, one in the morning and two in the afternoon. Panels are 1-1/4 hours each and have 2-3 presenters, with one panelist or convener serving as moderator. A minimum of 15-20 minutes should be reserved for dialogue with your audience, following the presentations. All presentations should be in PowerPoint format, and the moderator is responsible for gathering the presentations and bringing them on a laptop. The moderator is also responsible for time-keeping. Tell us the topic, what each presenter will contribute, and how the proposal relates to the conference theme. If you would like to lead a panel but need to find panelists, you can query the AAMG listserv or social media platforms for participants. Tell us the topic, why it is relevant to the theme, and confirm that you will be present for the conference. Poster specifications are as follows: Each presenter will have an easel, a black foam core support (40” x 32”), and two heavy duty clamps. 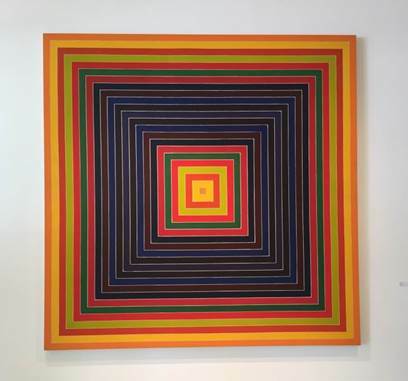 Dimensions are limited to 40” x 32” (101.6 cm x 81.28 cm). Would you like to lead a workshop that strengthens museum practice? We are willing to share the income. Tell us what you would teach, what your experience is leading this, how long you would like your workshop to run (full or half day), and your minimum number of attendees. Workshop day to be determined, but it will likely be Sunday morning. Radio model no. 1186, Nocturne, c. 1935. Designed by Walter Dorwin Teague. 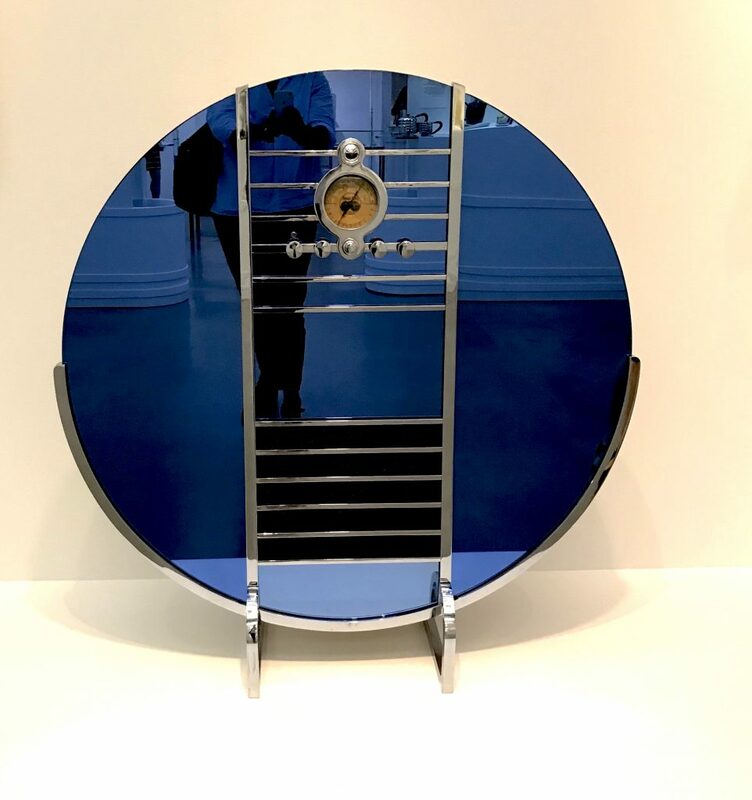 The Wolfsonian Collection, INV. no. XX1990.168. Our Annual Conference in Miami, US, was an extraordinary success! 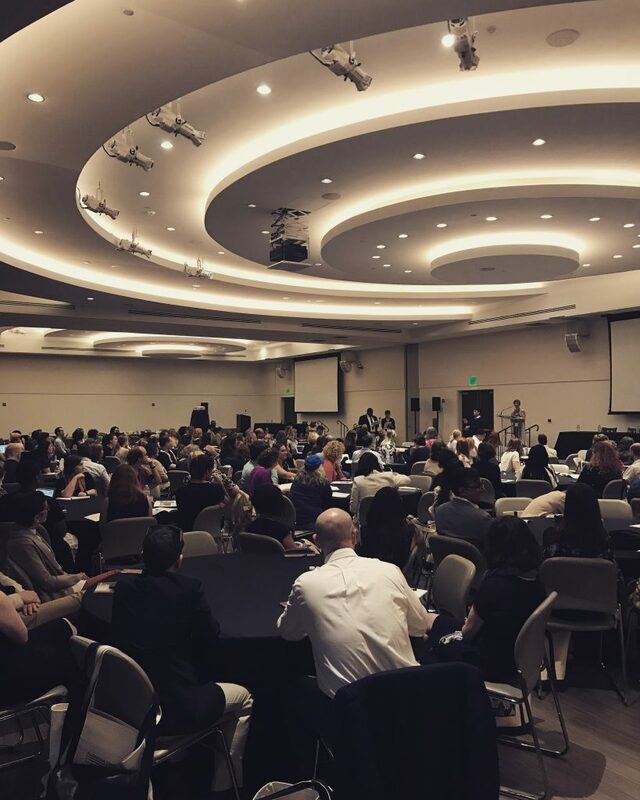 Largely due to the partnership with, and commitment of the Association of Academic Museums and Galleries, US, our latest annual conference at the University of Miami mobilised almost 400 participants from 23 countries. One of the UMAC-AAMG 2018 sessions, at the University of Miami, 21-24 June 2018. UMAC is grateful to the AAMG and we hope to continue developing activities together in the near future! The Lowe Art Museum, our host of the UMAC annual Conference next month, has just released a note for the media. 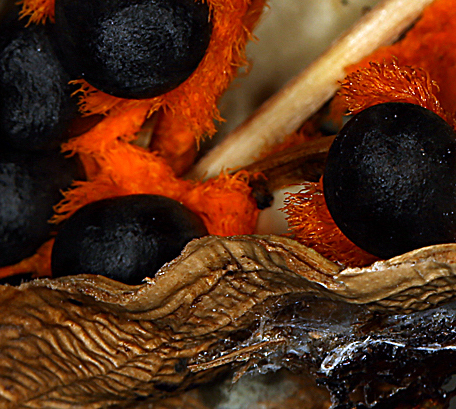 Read it here and find out more about the Lowe in UMAC World Database. UMAC is delighted — and grateful — that ICOM-USA granted us a subsidy towards the organisation of our annual conference at the University of Miami, Florida. Jointly organised with the Association of Academic Museums and Galleries (AAMG), UMAC expects this annual conference to be its largest ever. See more about UMAC-AAMG 2018 here. 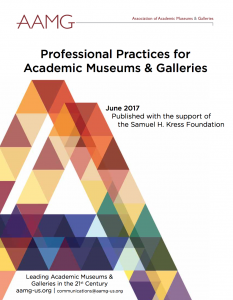 The Association of Academic Museums and Galleries (AAMG), USA, has just released an important publication on Best Practices. It covers all major areas of university museum practice – from collections to fundraising and from governance to ethics – reuniting into a single source what is generally fragmented and dispersed. It has eight chapters and 10 appendices, multiple examples, links and legal references. The ‘AAMG Professional Practices for Academic Museums and Galleries‘ is undoubtedly of broader interest to university museums and collections all over the world, making it an important resource for colleagues outside the USA. Access the full publication here.